MacLellan Rubber comprehensively provides all commercial grades of rubber sheeting to customers demanding High Performance Polymers. We pride ourselves on providing technical knowledge and a quality rubber compound range to meet our customer's exacting requirements. MacLellan Rubber are fully certified manufacturers of high-quality rubber sheeting available in all grades. 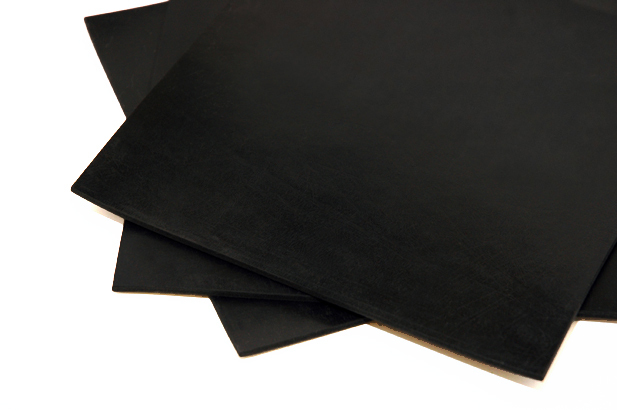 Our sheet rubber grades are REACH, RoSH and PAH compliant with the CE mark of quality. With 147 years of trading and manufacturing history, MacLellan Rubber has established itself as a Leader and Authority in our specialist field of sheet rubber products. We are nationally known and recognised as having the experience and knowledge required to exceed Industry needs and expectations. MacLellan Rubber work closely with the whole supply chain including product designers & developers, original equipment manufacturers (OEMs), convertors, gasket cutters, as well as end users. Combining our own resources and knowledge with our manufacturing partners, we can complete the whole manufacturing process by working directly with convertors or our customer's supplier of choice. Typically supplied on the roll, our rubber sheeting products can be cut to any size or shape required, using genuine Neoprene, EPDM, SBR, Nitrile, Butyl, Viton®, Silicone, HNBR and Natural Rubber Grades. We provide more than 2000 Elastomer Formulations, including high specification EPDM, Nitrile, Butyl and Neoprene rubber to British Standard BS2751 and BS2752 - as well as other recognised specification grades. Using our Product Search feature (on your left), you can view and compare properties, such as specific shore hardness, working temperature, tensile strength to name a few. Additionally, and to your left, is our Media Compatibility feature which allows you to check the resistance of product we provide with over 1000 chemical, compound and natural media. Never forget, you can simply Ask George! For any questions or technical advice regarding our range of sheeting products, please call our sales team on 01902 307711 or contact us.